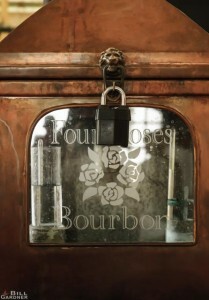 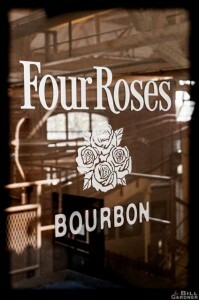 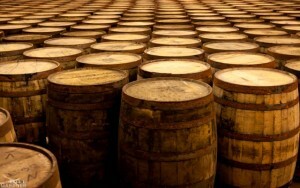 In 1964 the United States Congress declared bourbon to be a “distinctive product of the United States”. 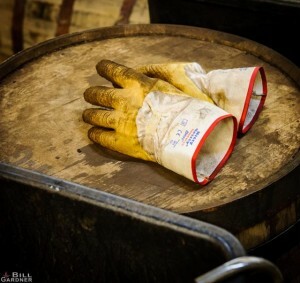 Certainly grain distillates consisting of at least 51% corn can be aged in new oak barrels anywhere in the world – and ne’er-do-wells can stoop so low to label their swill bourbon – but it isn’t bourbon. 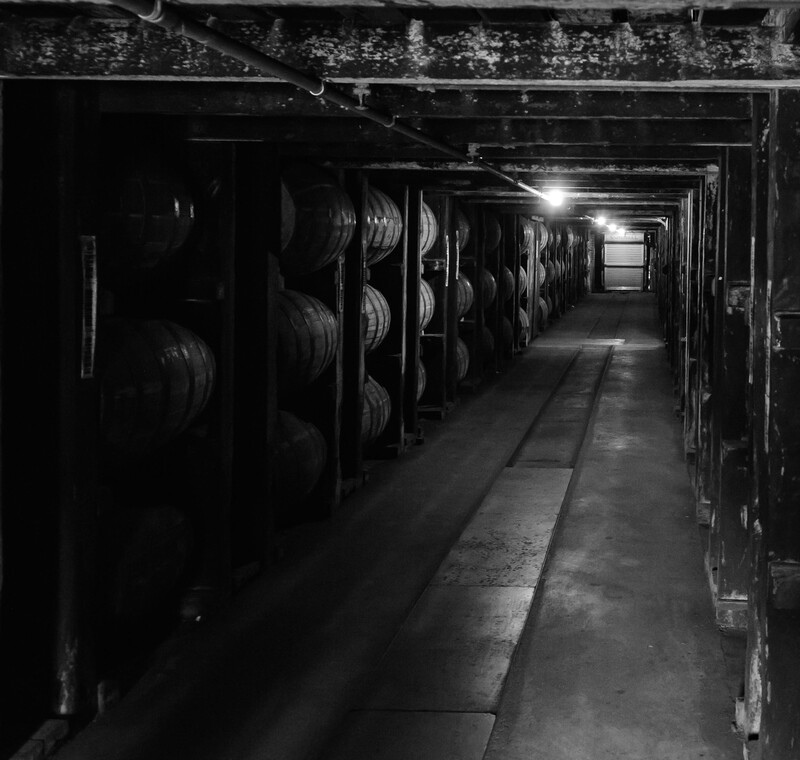 Bourbon is an American spirit and only an American spirit. 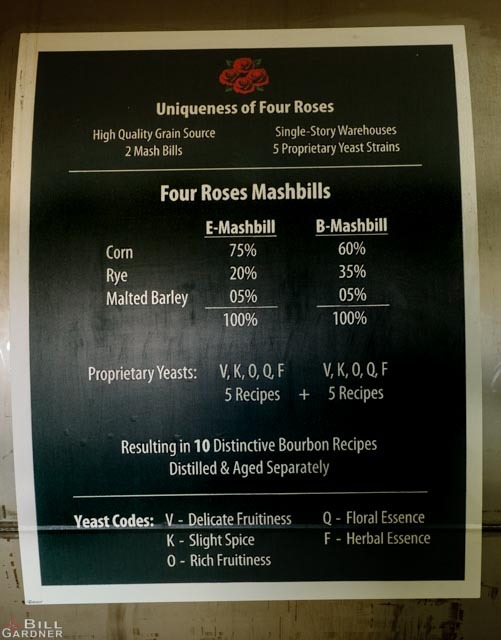 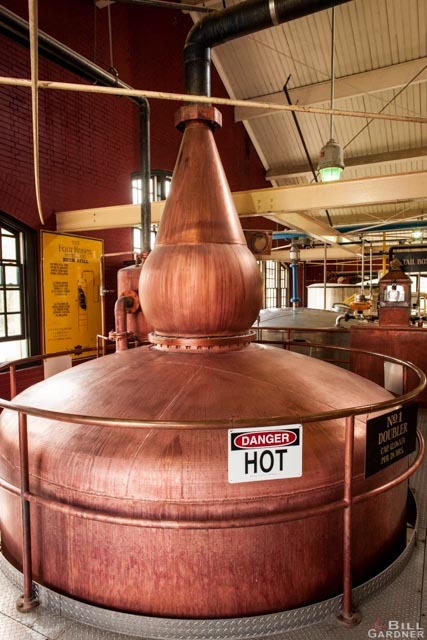 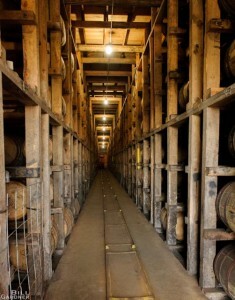 If you want to know how bourbon is made – go to Kentucky where 95% of all bourbon is bottled. 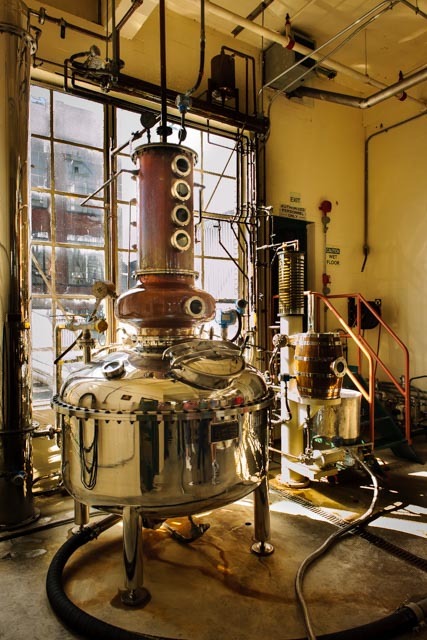 Take the time to tour the distilleries, from the established to lesser known small craft distilleries. A true appreciation of the craft of making great bourbon begins to develop when the smells of the cooked grains, tasting the mash from a finger dipped in enormous vats, the mesmerizing sight of the flow of clear raw alcohol from the stills and the sight of barrel upon barrel of aging whiskey in the rick houses with the unique odor of the angles share.Without a doubt sampling of various bourbons is educational, important and frankly most enjoyable. 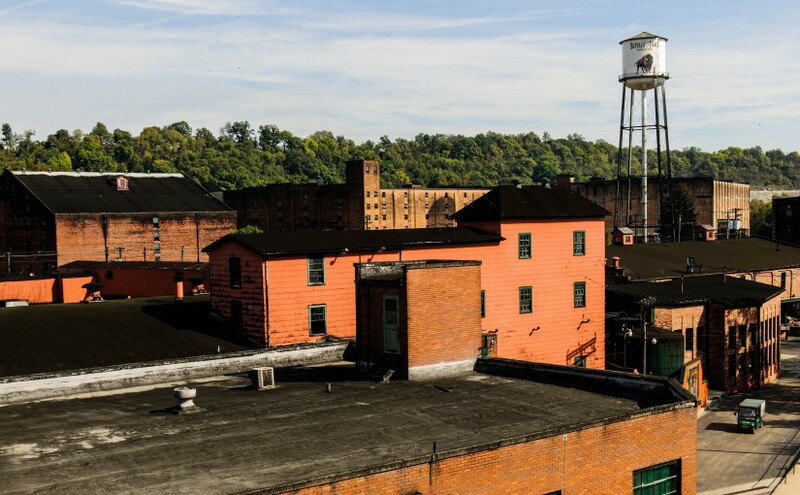 A view of the distillery from a rooftop on the Buffalo Trace Hard Hat tour. 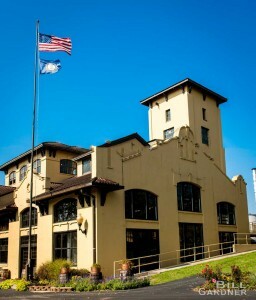 A true class act among all the distilleries is the Buffalo Trace Distillery. 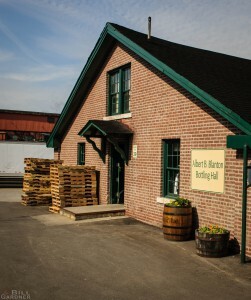 Here is a link to Google Maps. 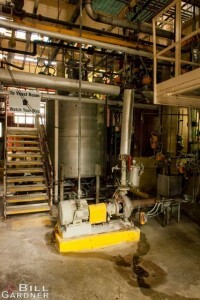 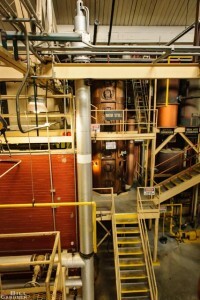 E.H. Taylor, Jr., Microstill where unique and award-winning experimental collection whiskeys are produced. 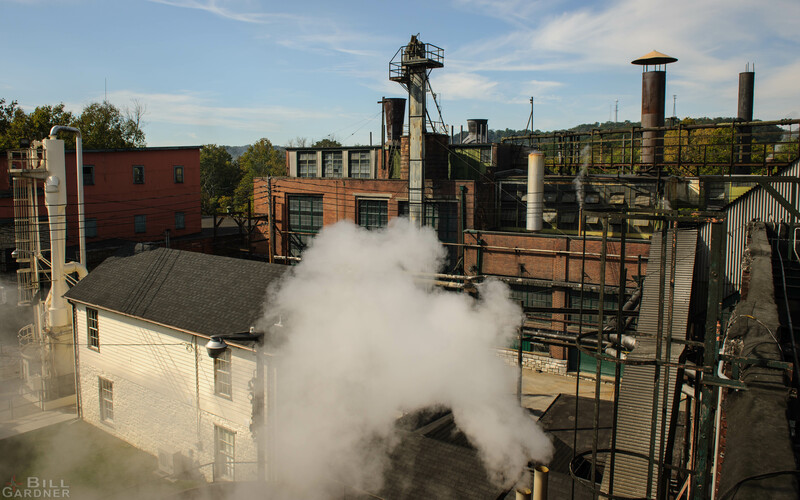 The Hard Hat tour takes the visitor behind the scenes and into the heart of the industrial facility. 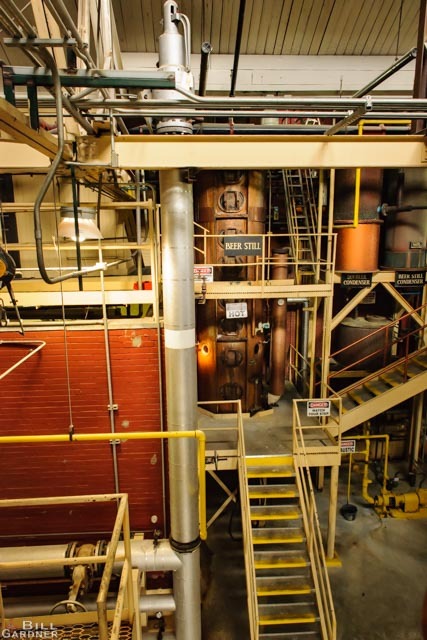 The walking tour includes stairways along with the sights and sounds of a hard working factory environment. 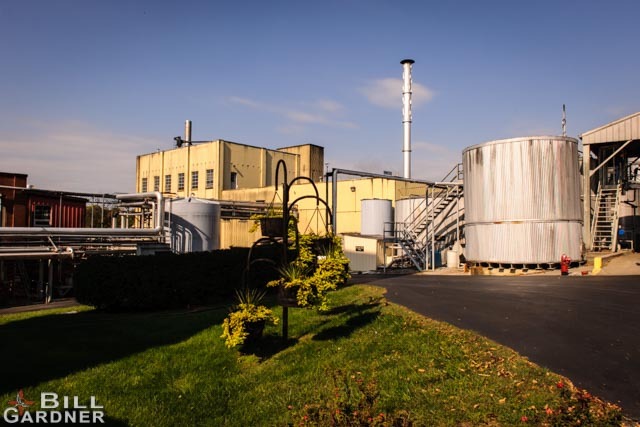 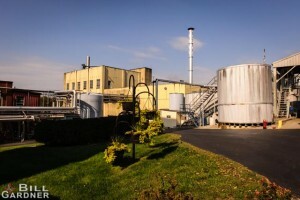 One stop is at the E.H. Taylor, Jr., Microstill where unique and award-winning experimental collection whiskeys are produced. 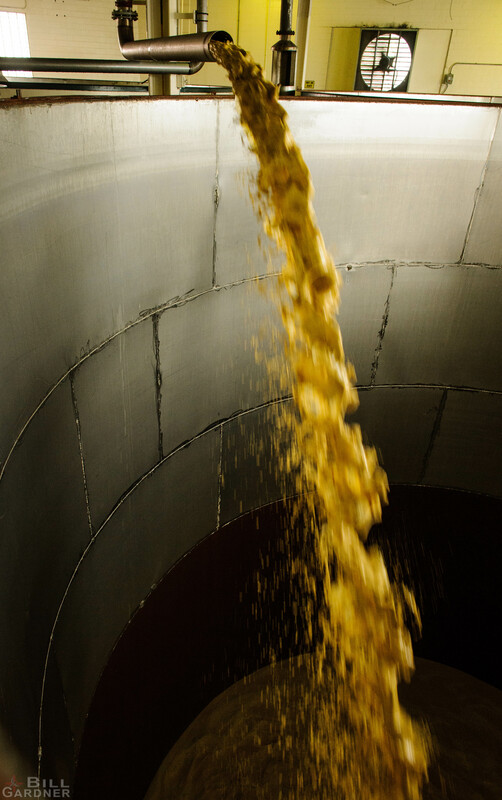 Sweet mash being added to one of the massive processing vats. 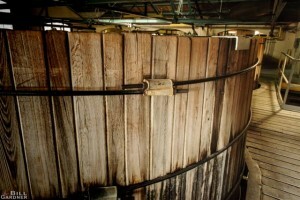 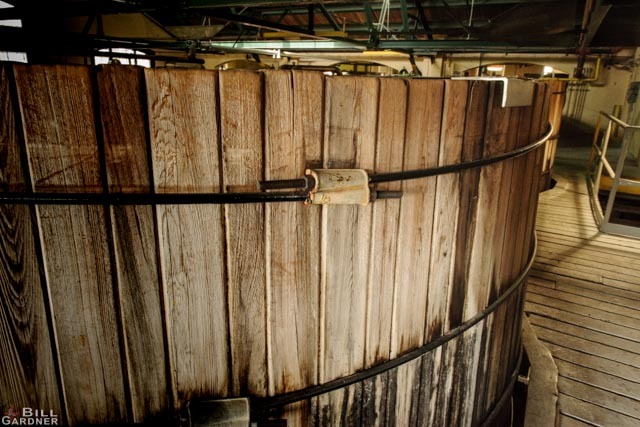 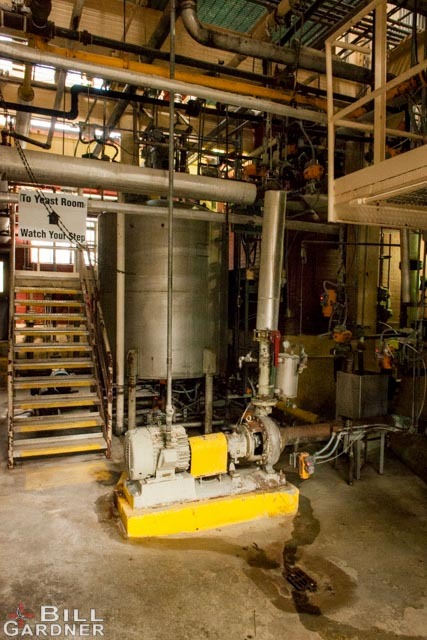 This vat contains about 92,000 gallons of sour mash. 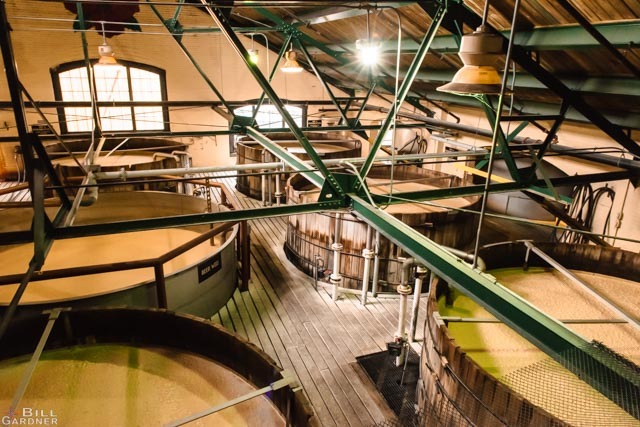 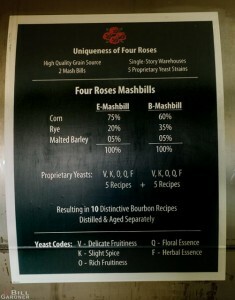 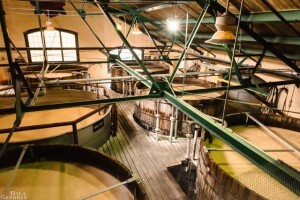 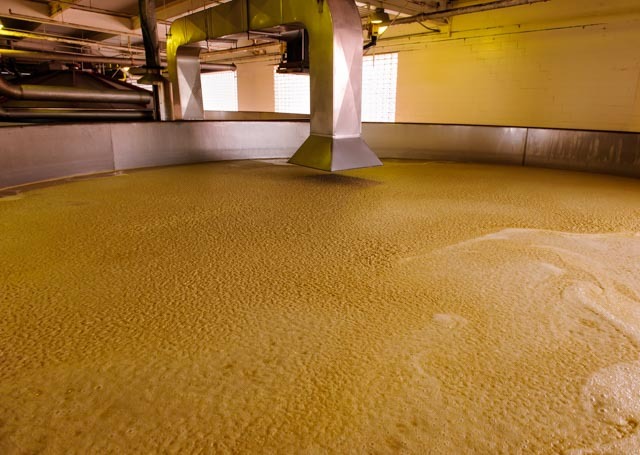 In three to five days the work of the yeast is finished and the mash is moved to the next stage for future bourbon. Over 1.4 million barrels are in production and the current Kentucky bourbon inventory is over 5.8 million barrels. 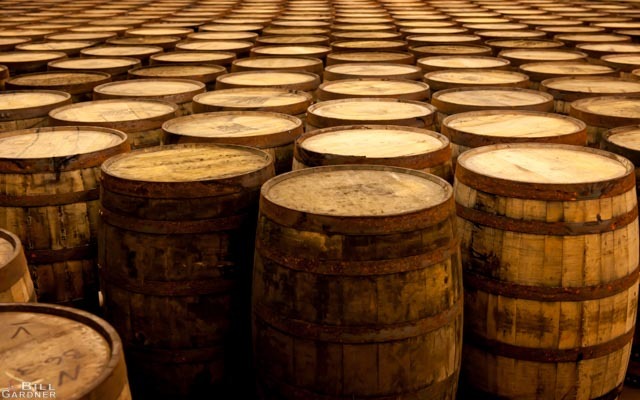 The 2014 tax-assessed value of all barrels aging in Kentucky is $1.9 billion. 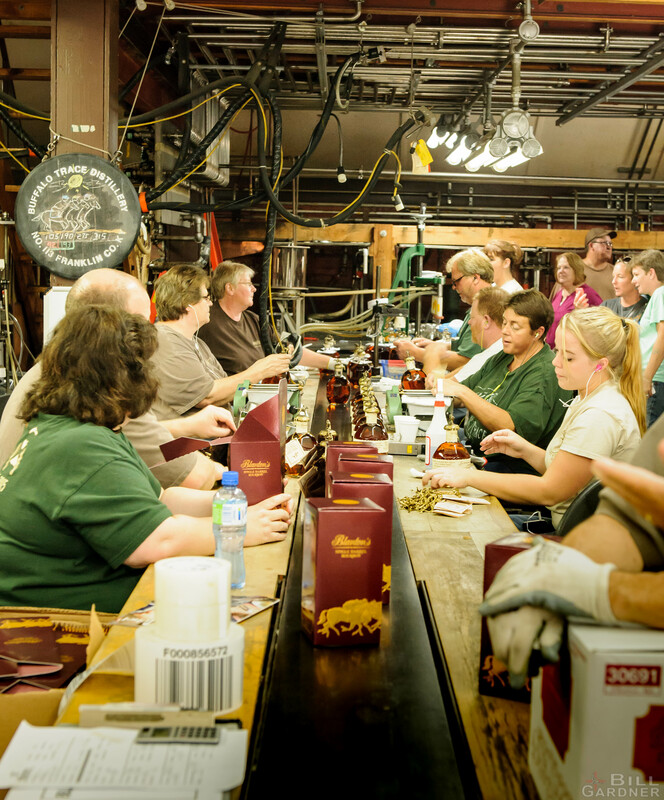 Blanton’s Original Single Barrel Bourbon bottles are hand inspected, labeled and boxed. 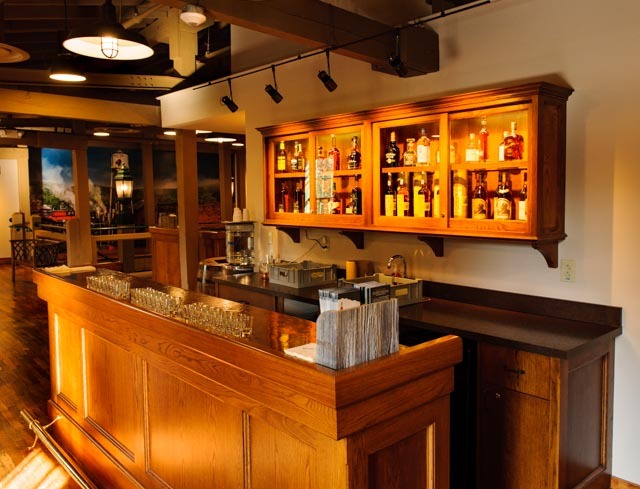 The tasting bar is upstairs in the visitor center.